'Ramaleela' is justice meted out in the real old testament fashion - "an eye for an eye...". 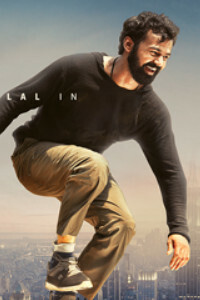 But what lifts the movie out of a mere retribution line is Ramanunni's declaration that his intention is a cleansing of sorts - of stopping man from being a threat to man himself. 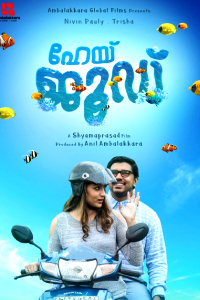 If anybody was wondering if the movie (from its various teasers and trailers) had any semblance to Dileep's current life or situation, there is nothing there. But the jail sequences, police treatment et al seems very uncanny. As a movie is 'Ramaleela' a good watch? It certainly is. There is heroism and twists and turns. But not the typical Dileep in his comic avatar. If at all the justice part seems way too much in an age where we preach tolerance and diversity, as the script writer Sachi would say, the character demands it; and the character has been etched out so well. As the movie begins Ramanunni played by Dileep is seen under threat and issued a gun for self protection. The 'tight' protection part was a laugh in the right place. The place is Kannur and its bloody politics is the backdrop. Radhika Sarathkumar plays Dileep's mother. His father was a communist martyr. With communism running in the family it comes as a major surprise when Raman shifts party to join Congress. The decision brands him a deserter. His party head played by Vijayaraghavan and even his mother flays the decision. At home the mother son relationship reaches a head one day and Ramanunni vows to undo the damage. At the Congress camp we have Udayabhanu played by Siddique and Kalabhavan Shajon plays a partyman assigned to teach Raman the ways of the party. With Communist party head being shot at during an election campaigning all eyes are pointed at Raman. He goes awol with the help of an ex-communist played by Renji Panikar and his daughter played by Prayaga Martin. Basically, the reasons for his decision to shift party and what he does for that forms the crux of the story. 'Ramaleela' can be said to be of a political thriller mould. The way the script progresses is very convincing. That engaging quality of many a Sachi script is evident in the movie. There is also humour thrown in here and there. Dileep - Kalabhavan Shajon team once again brings in the laughs. The suspense mode works well. Dileep has enacted well as Ramanunni. That craftiness of a politician is brought out well. 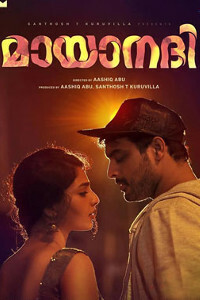 Prayaga lends support in her minimal role. There is no overt romance and the script doesn't waver from its intention. Radhika is apt as Raman's mother. But her make up is too over the top at times and comes as a mismatch for her character. Vijayaraghavan, Kalabhavan Shajon, Siddique and others are good in their roles. The script by Sachi is layered with twists and turns to keep the viewer guessing. 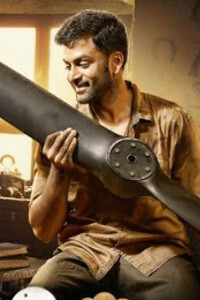 Ramanunni's characterisation has also been done with dexterity to give a solid script. But at the end of the movie the only doubt i felt was regarding Ramanunni's filing of nomination once again while he was in hiding. This is not an easy script to execute. But Arun Gopi as a director has handled it well. He taken no leeway with the making. Songs are situational and those that are there narrate a story of their own and gives a freshness to the tale. 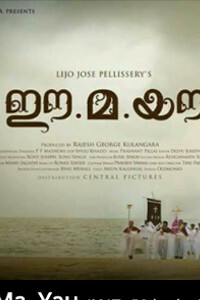 That title song featuring martyrs set the tone for the movie. Other technical aspects including cinematography and editing were fine.